One of the essential bands for the Obscene Extreme fans. 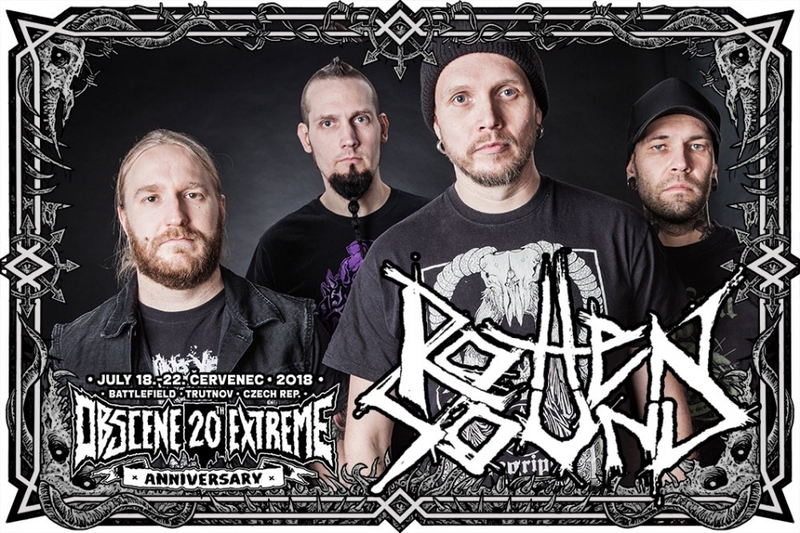 ROTTEN SOUND from Finland. One of the top grind core bands of today will honour the visitors of Trutnov's Battlefield with a visit to celebrate the 20th anniversary of OEF! Their album „Abuse To Suffer“ at Season Of Mist of last year actually defined the style and sound of a new modern grind core wave and this band has thus become a synonym for the term grind! Harsh grind blending the ferocity of Napalm Death or Extreme Noise Terror with the uncompromising fierceness of Nasum. Socio-political lyrics are taken-for-granted. The first performance of this Finnish group in Trutnov took place as early as in 2000 and was the first ever show out of their homeland! Moreover, during their last visit they could not show their frenzied blast beats at full power as the drummer broke his leg when raging on Brujeria. Anything else to be added? A must!! !